The £310 supplement for new cars with a list price of £40,000 or more will apply sooner if the vehicle is sold less than 12 months after it is registered. Due to take effect in April, the new VED scheme requires the car’s first owner to make a supplementary £310 payment a year after its first registration date for five years. However, the charge becomes payable immediately if it is sold within the first 12 months. He added that the change could cause confusion, as it would be difficult for vendors and owners to keep on top of the extra payment date. A spokesman for the DVLA confirmed that this was the case, and that the V5 would be amended to reflect the new payment date of the supplementary charge when the vehicle is sold. 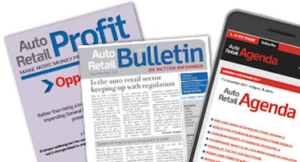 Subscribe to Auto Retail Agenda now for only £90 per year to read more articles like this and receive a weekly copy of Auto Retail Agenda in your inbox at the start of every week. Remember, every new subscription comes with a 90-day money back guarantee if you’re not completely satisfied. 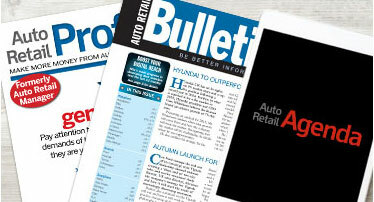 Auto Retail Bulletin presents strategic advice and analysis for senior executives and auto retail business owners. It helps you run your business successfully and takes away the information overload. New subscribers receive a copy of the publication delivered directly to you each month, full access to all Auto Retail Bulletin content on our website plus a third off all other Auto Retail Network publications and events. Subscribe online here or give us a call on 01572 336 600 during working hours. Alternatively, leave your details and we’ll contact you as soon as possible to arrange your subscription.